Estimated completion time is about -3.0 business days*. Click for list of queues. * Shipping is not included. Please send us your favorite pictures with our uniforms. Aska Botanical Enzyme is the complex nutritional enzyme drink which is made from a mixture of over 60 different plants, which then go through a fermentation process to be diversified and vitalized, making all the necessary nutrients without any oil or fat contents, readily absorbed and digested. Imported from Japan. 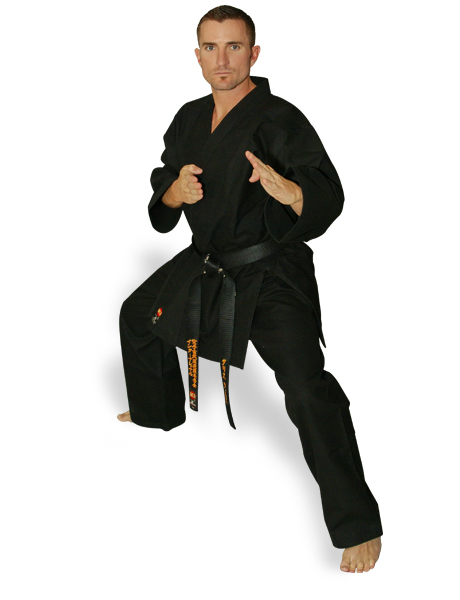 KI - Heavy Weight (black karate uniform, Karate gi)..
KI Heavy Weight Traditional Cut Karate Uniforms are designed for the people who appreciate the importance of a quality uniform. Whether you are a beginner or an advanced karate practitioners, you deserve to get the best out of your investment. 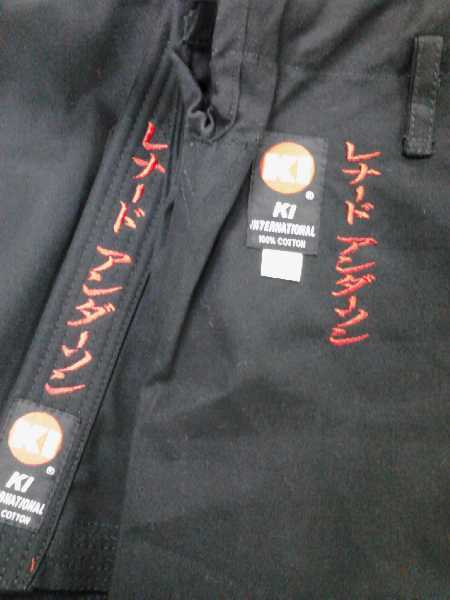 KI Heavy Weight Uniforms are made of 100% cotton 13.8 oz. Duck Canvas with canvas weight of 380 GSM which breathes easier and will allow you to focus on your motion. 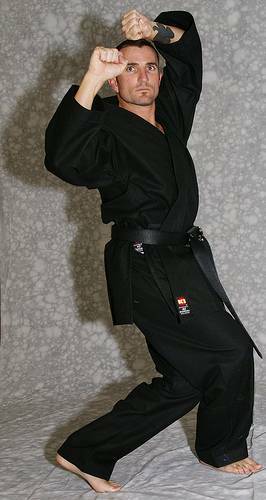 This uniform is comfortable enough that they can be used for everyday training, but will also give you a “snap” sound when a sharp kata or kumite move is executed. KI’s high quality yarns are used for reinforcement stitching on the jacket and pants to offer strength and durability. 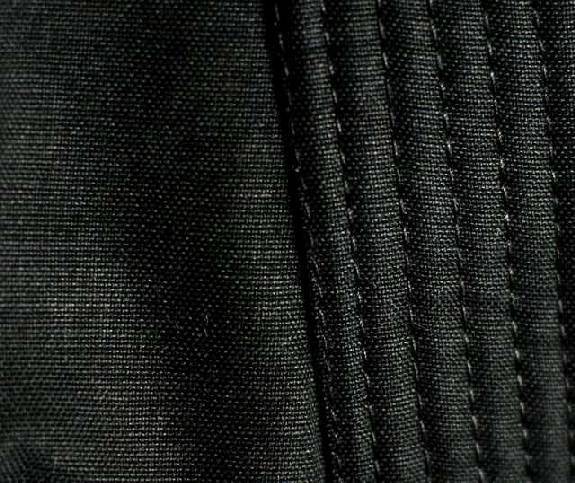 There are 6 lines of stitching at the collar and 7 lines of stitching in the pants. The pants come with an elasticated waist band up to size 2 and drawstring pants from size 3 and up. This uniform will survive years of hard training and still maintains its shape and integrity. 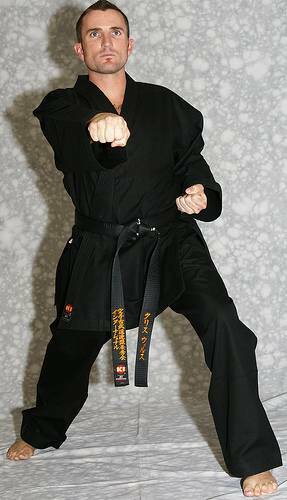 This Karate uniform does not come with any belts. There is options to embroider your name on lapel and pants. We can do it in Kanji, Katakana or English letters. (800) 982-1059. Or simply order a uniform or belt, then add more embroidery services in 8. Embroidery on left hand side in Categories with notes which item you would like to add more embroidery. 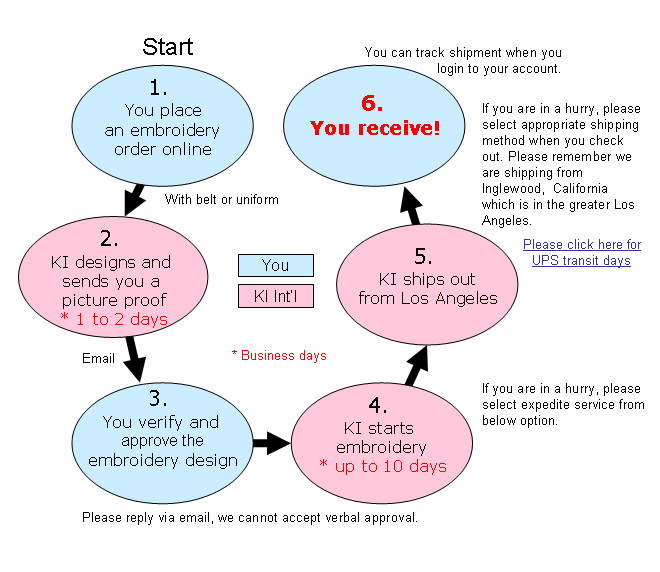 Embroidery Options * Below options are for ordering embroidery service. * Sorry, due to huge backlog, temporary Expedite Service is not available. . Chest Embroidery No chest embroidery My own text (+$24.95) Aikido (合気道) (+$22.95) Budo (武道) (+$22.95) Budoka (武道家) (+$22.95) Budoku Kai (武徳会) (+$22.95) Chito Ryu (千唐流) (+$22.95) Bushido (武士道) (+$22.95) Dai Nippon Butokukai (大日本武德会) (+$22.95) Isshin Ryu Karate (一心流空手) (+$22.95) GoJyu Ryu (剛柔流) (+$22.95) Karate (空手) (+$22.95) Karatedo (空手道) (+$22.95) Kenpo （拳法） (+$22.95) Mu Karate Do (無空手道) (+$22.95) KyoKusSin Kan (極真館) (+$22.95) Mugen (無限) (+$22.95) Nihon Karate Kyokai (日本空手協会) (+$22.95) Okinawa GoJyu Ryu (沖縄剛柔流) (+$22.95) RenBu Kai (錬武会) (+$22.95) SeiDo Kai Kan (正道会館) (+$22.95) SeiShin Ryu (清心流) (+$22.95) ShiDo Kan (士道館) (+$22.95) ShiToh Ryu (糸東流) (+$22.95) ShiToh Ryu Karate (糸東流空手) (+$22.95) ShinBu Kai (真武会) (+$22.95) ShoRin Ryu (小林流) (+$22.95) ShoRin Ryu (松林流) (+$22.95) ShoRinJi KemPou (少林寺拳法) (+$22.95) ShoRinJi Ryu (少林寺流) (+$22.95) ShoTou Kan (松涛館) (+$22.95) UeChi Ryu (上地流) (+$22.95) WaDo Ryu (和道流) (+$22.95) YoShu Kai (養秀会) (+$22.95) * All are in Japanese Kanji. Embroider Text on Chest * Up to 5 characters. If you have any questions, please call us at (800) 982-1059 , Mon-Fri, 9-5 PDT, except holidays. Se habla Español. * If any items were out or stock, click red 0 to find out ETA at our warehouse. Please use this as general guidance. If you have difficulty deciding which size to purchase, please measure an uniform that fits you well and compare against this chart provided. Please note that all new cotton uniforms will shrink at least one to two inches after the first wash.
All measures are with +/- 3% tolerance.